Ludorum has revealed that its global pre-school property Chuggington will broadcast its new fourth series on CBeebies later this summer. The new series kicks off with a special extended 30 minute episode called Chug Patrol Ready to Rescue with 11 more new episodes following from late August. A further 13 episodes will hit TV screens in Spring 2014. 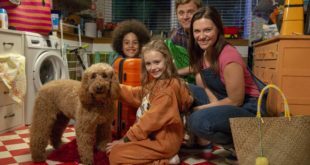 The series, which has been a consistent performer for CBeebies, promotes ideas of honesty, loyalty, teamwork, self-belief, patience and friendship. 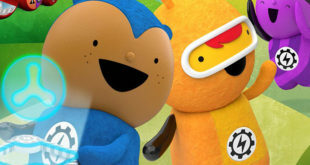 Series four introduces new characters Jackman, Hanzo and Zack and new locations like the Drop and Load Yard, the Working Wheels Service Yard and the Chug Patrol Headquarters. The new series will be supported by a heavily-weighted consumer programme publicity and product focused outreach, as well as trade PR and social media activations throughout 2013. 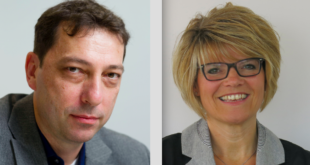 "Chuggington has a proven track record on CBeebies and has a strong following from our pre-school viewers and their parents," said Sarah Legg, programme executive at CBeebies. A 3D interactive storybook app called Chug Patrol: Ready to Rescue will launch on 5th September and will also be supported by an extensive marketing and PR campaign. The Chuggington website has also been given a recent revamp, complete with a seperate parents section and new online game entitled Chug Control Challenge. Tomy has also created a Stack Track range based on the Ludorum’s licence which allows children to build elevated tracks which ‘combines classic train play with the versatility of multiple layouts and track extension packs’. The range is being backed by an extensive TV advertising campaign set to deliver over 2000 TVRs from September. “We are delighted that the BBC has acquired Chuggington series four and we know fans of the show are eagerly anticipating the new episodes. The new series builds on the engaging storytelling with thrilling new characters, locations and more action-packed adventure," said Katie Rollings, Ludorum MD.